In the age of the keyboards and frets, vintage analog approaches to instrument design are strikingly expressive. Here are hands-on impressions from NAMM of the ribbon-controlled Persephone, the ring-controlled French Connection, and the accelerometer-powered guitar effects ring seen here earlier. The Persphone sounds gorgeous on its own, but took on a dark, grungy character when fed through one of the ingenious effects boxes from Metasonix. Onboard controls let you adjust timbre, scaling, and playing style, and in addition to acting as a standalone instrument, it can send MIDI, as well. (Now, I’m having visions of tripping out playing this while running 3D digital visuals.) For EUR660, it can be yours — I’m saving my pennies. With This Ring: The late-1920s Ondes-Martenot can be credited for both the ribbon controller and continuous controllers employing a string and a ring attached to the player’s finger. The latter has been recreated on the Analogue Systems French Connection. 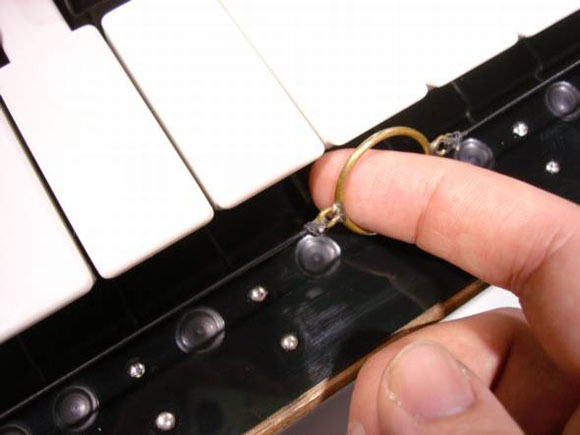 Place your finger into a small ring, and you can pull a metal cord up and down to glide pitch. A wooden tab turns pitches on and off and is sensitive to pressure for varying volume. It’s really quite fun to play and immediately easy to use, particularly because the keyboard above the controller provides a pitch reference. (I found even if I looked away from the keybaord, my subsconcious pianist brain gravitated towards normal pitches — though with the ability to bend and add vibrato, which one obviously can’t do with a piano!) 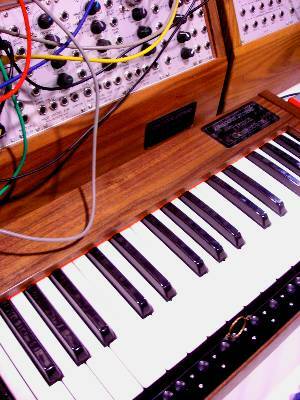 The keyboards sends control voltage, not MIDI, so you’ll need to use it with a real CV-based modular system. 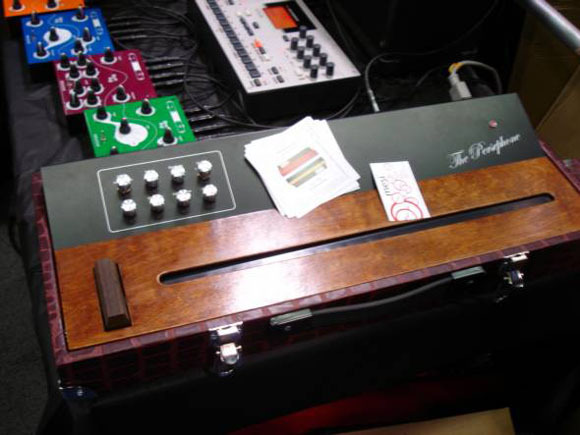 Radiohead and Trent Reznor are able to afford this keyboard more easily than me (it’s just over US$2000), but the joy of NAMM is the chance to see this stuff and meet the crowd of enthusiasts that invariably gathers around it. The Hot Hand also has one my favorite knob labels: the sensitivity knobs is labeled in degrees from Pick to Strum to Flail. I think I’d always be on the flail setting. Fortunately, I was able to turn the test over to Keyboard Magazine‘s own Michael Gallant, modeling the blue LED ring here. Now, I’d sure love to see more innovative design features front-and-center in new hardware — though the wireless D-Beam (Roland) and AXYZ dome (Alesis) are a good start.